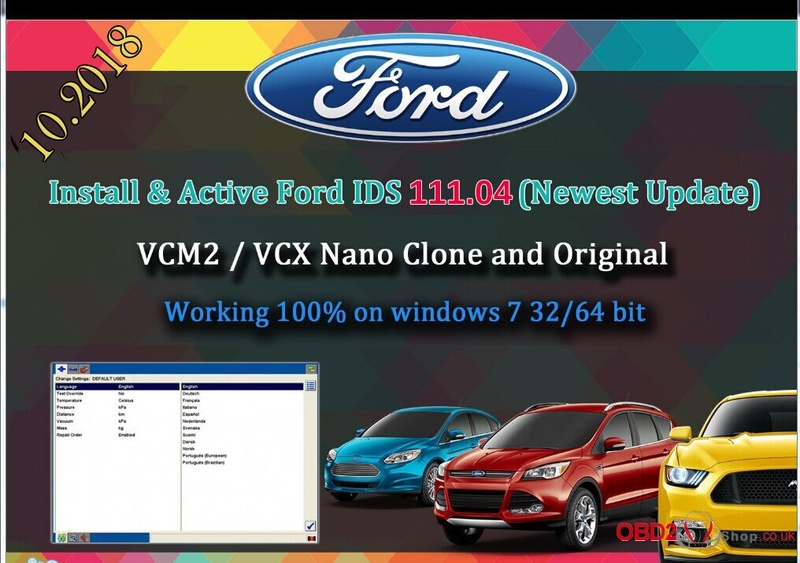 UPDATE FORD VCM IDS 111.04 Native Install with Remote Support incl. activation. FORD IDS SOFTWARE V111.04 MY SOLUTİON FIX.NEW MORE FİX INCL. Works on : vcm1 /vcm2 clone / VCX Nano clone or original.